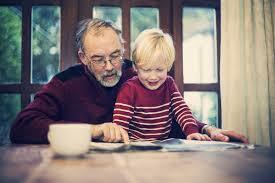 I have previously written about the importance of grandparent/grandchild relationships. As a mother, I missed my children having both of their sets of grandparents around. I have heard adults including my grown children say they feel they missed out from not having both sets of grandparents nearby. 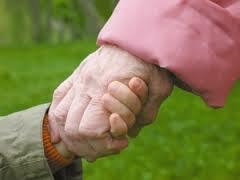 Friends, now grandparents themselves have described how they have missed having their grandchild close. It doesn't matter how many toys the grandparents send, and jumpers they knit, not having their grandchildren around is a void in their lives. ...a line from the book Grandparents/Grandchildren: The Vital Connection (Doubleday) that my husband, Ken Woodward, and Arthur Kornhaber, M.D., wrote more than two decades ago. "They’re not our grandkids. And we don’t take the place of their grandparents. But we share a very special bond that only these two generations can really understand. It allows us to pour out some grandparenting love and savvy on two adorable kids who really appreciate it. 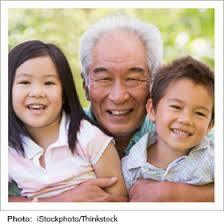 My grandkids don’t have the need for a substitute grandparent, as they live in cities where they have the real McCoy. And while I know what a help this is to the parents and how much fun it is for the grandkids, there are times when I can’t help but feeling jealous. Especially when they call to tell us about a trip to the aquarium or an overnight with their local grandparents. So this across-the-street relationship we have built with these youngsters is as nice for us as it is for them." Let us know about how you have overcome missing your grandparents, your children's grandparents or if you are a grandparent, your grandchildren, by writing in the comments below.